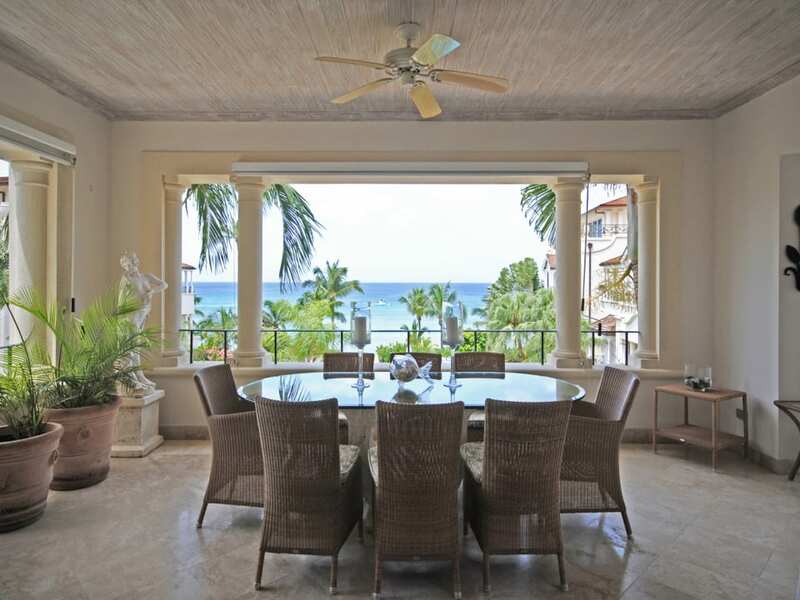 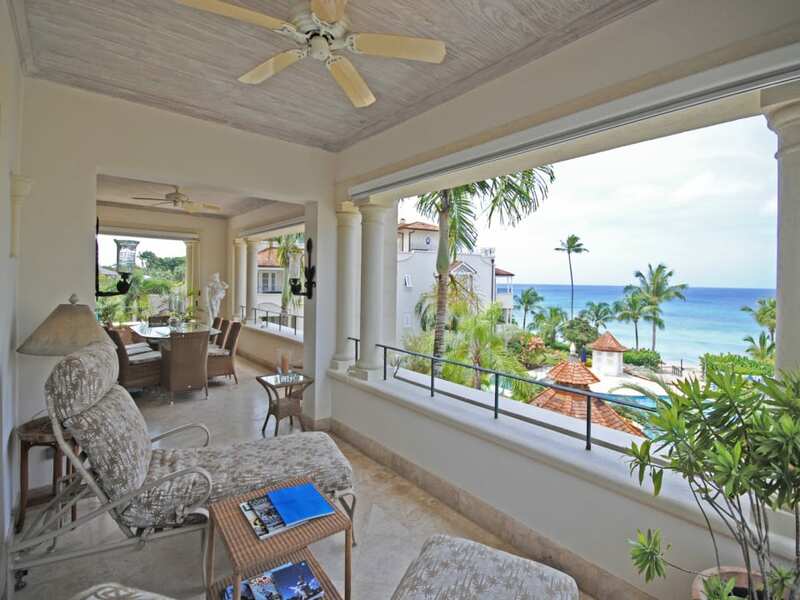 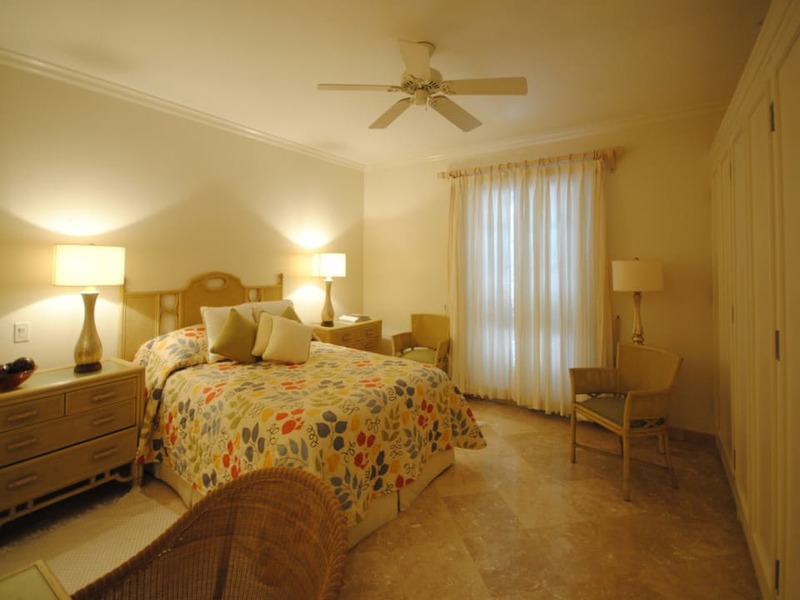 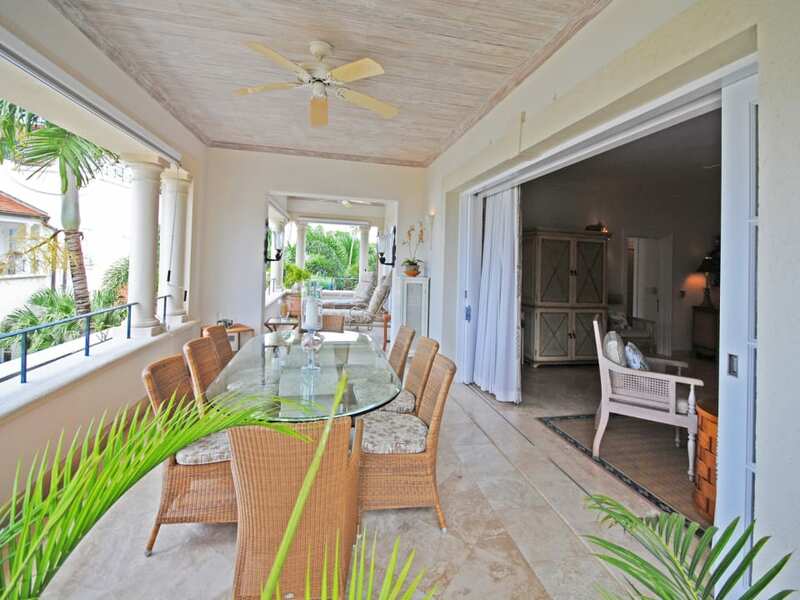 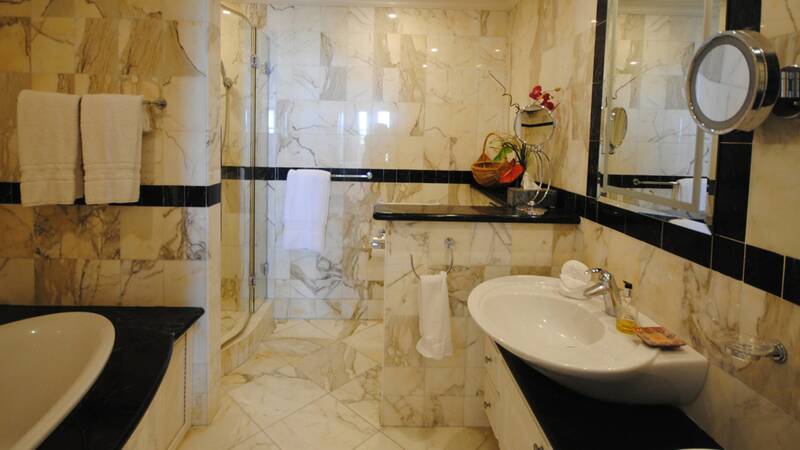 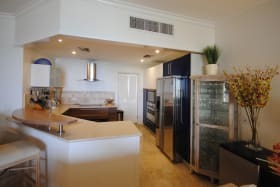 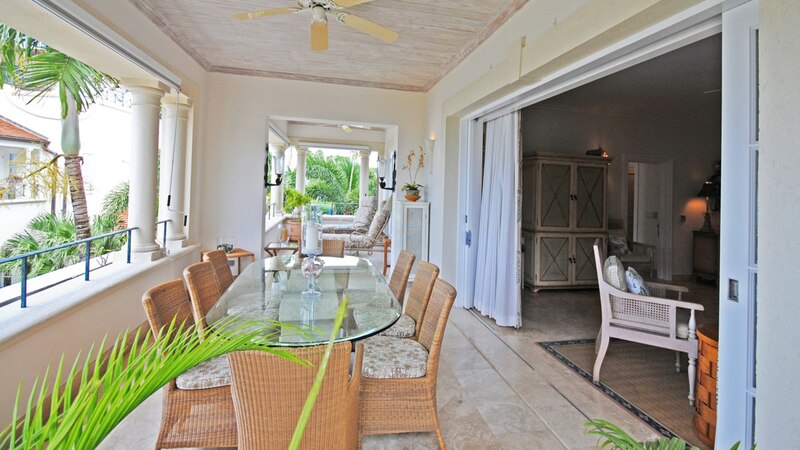 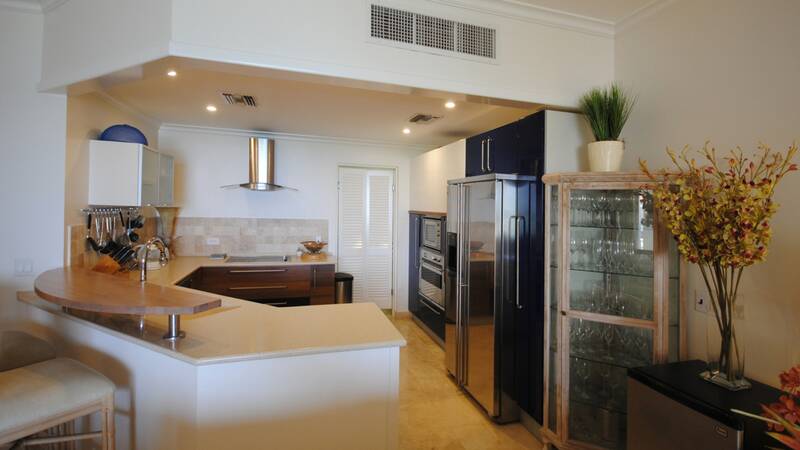 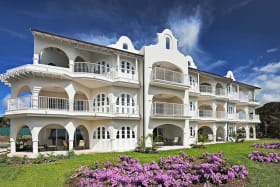 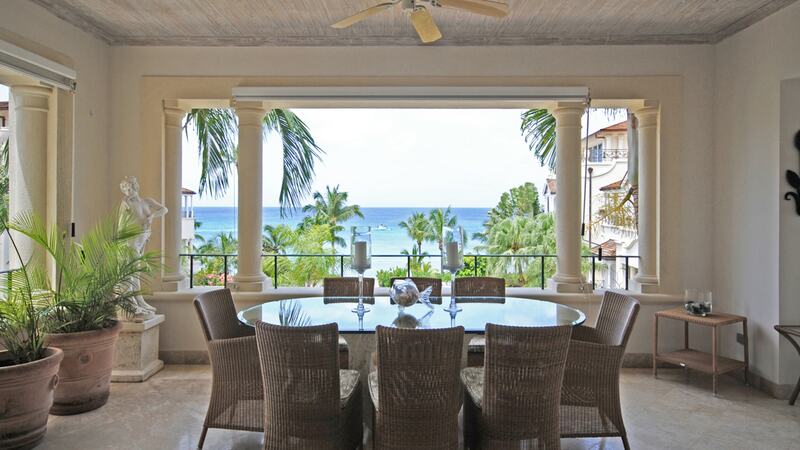 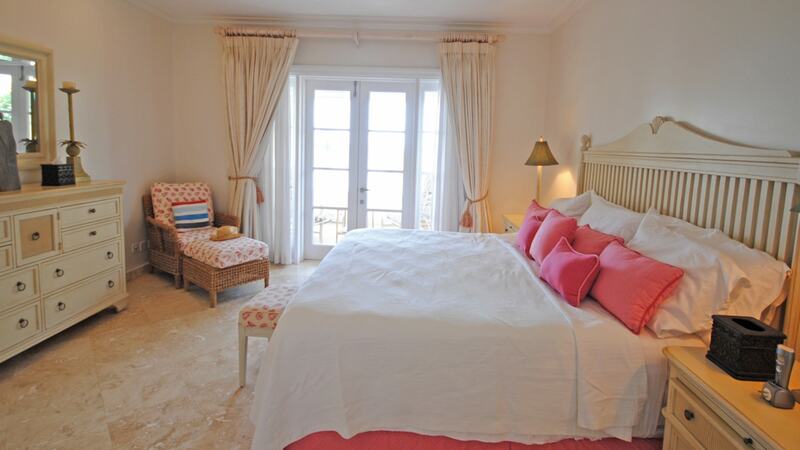 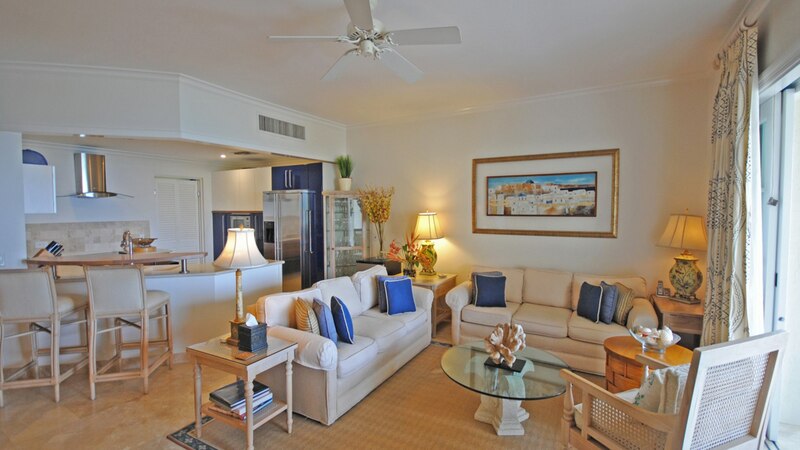 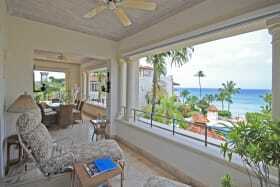 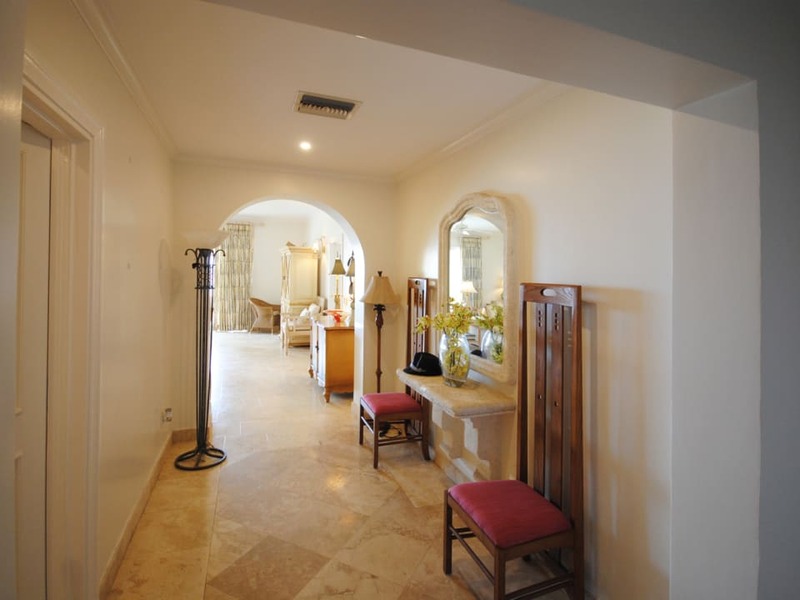 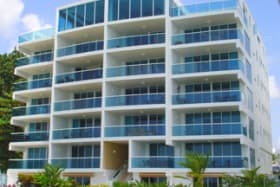 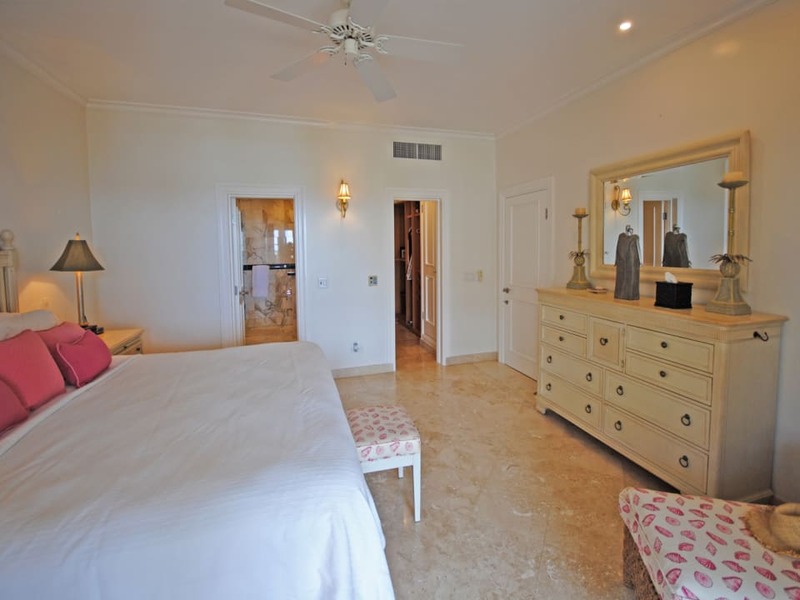 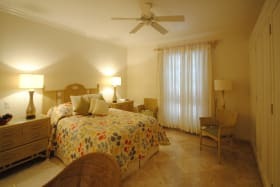 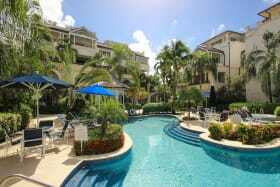 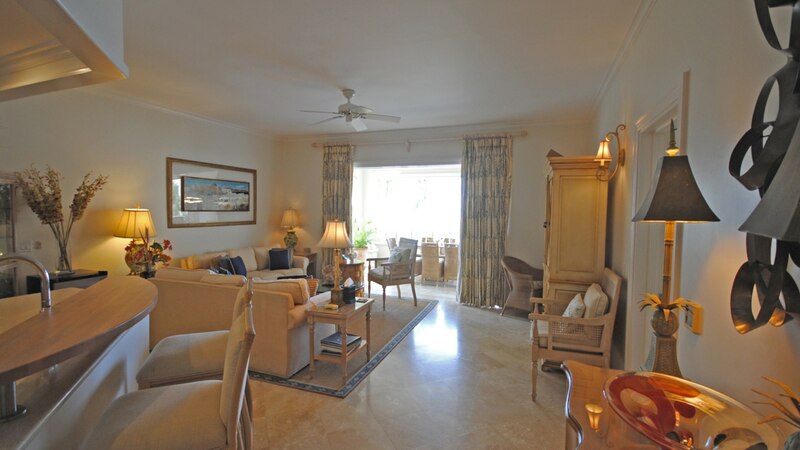 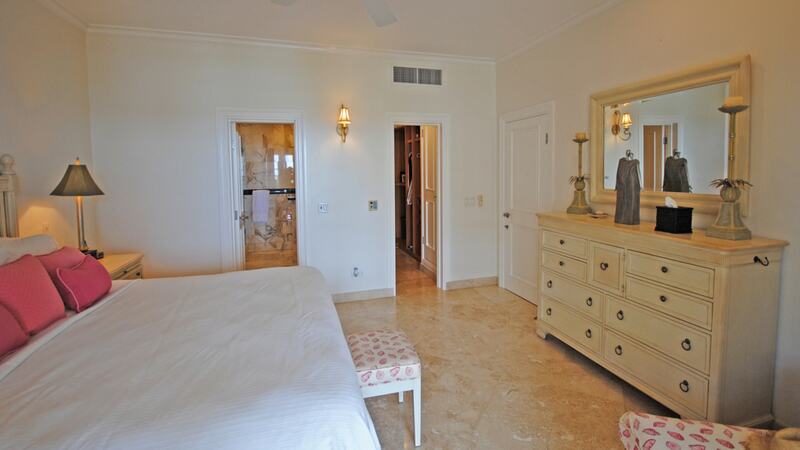 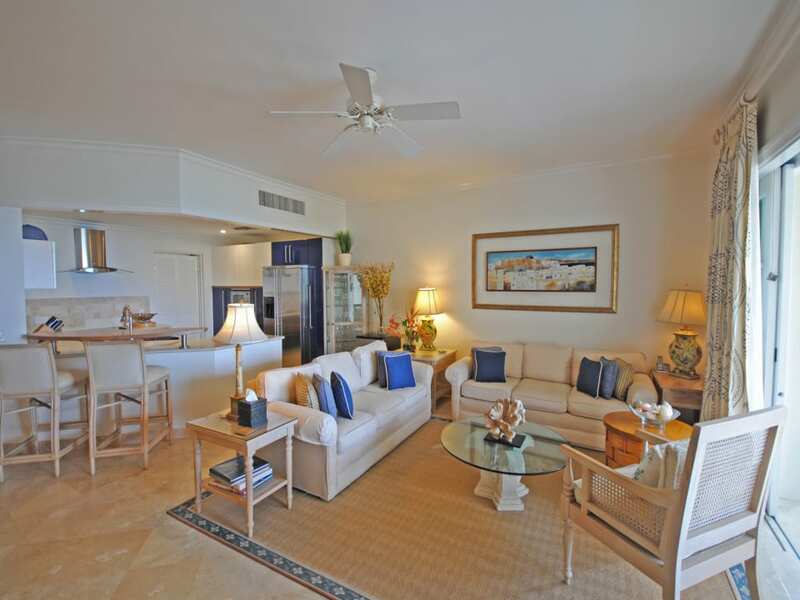 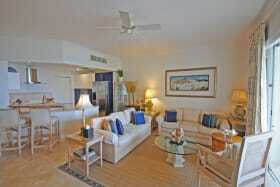 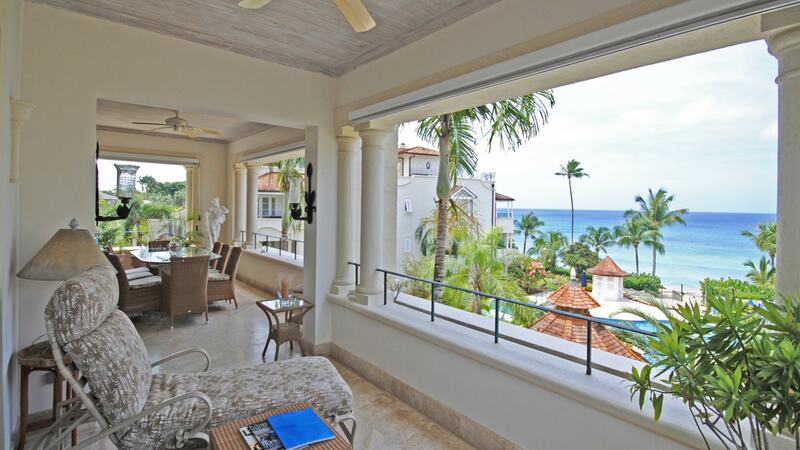 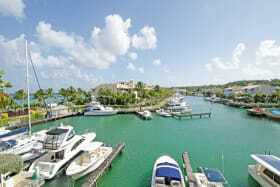 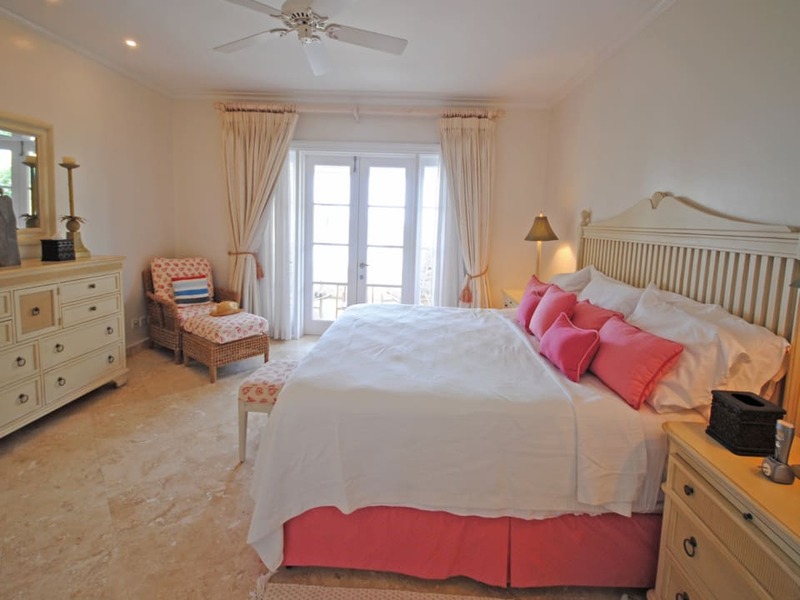 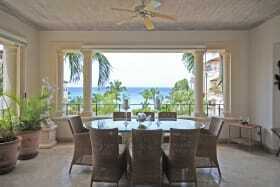 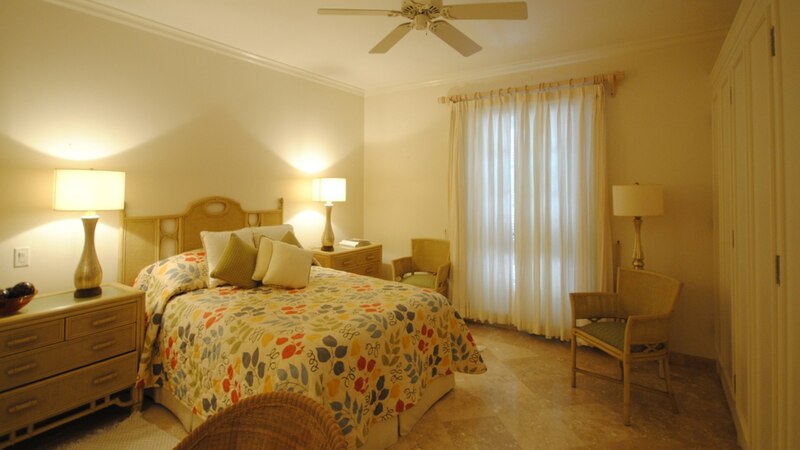 An elegant 2 bedroom beachfront apartment located on the second floor at Schooner Bay, St Peter. 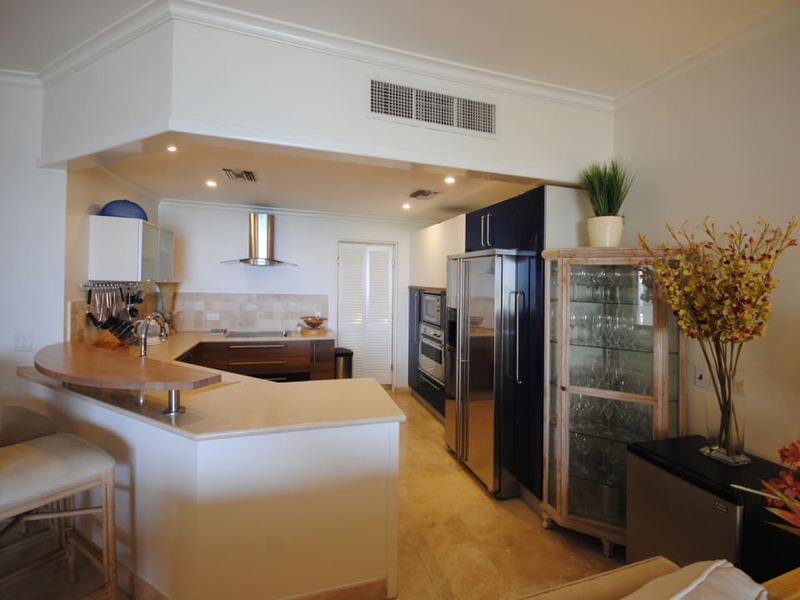 Imagine is an elegant two bedroom, two bathroom beachfront apartment located within the exclusive beachfront development of Schooner Bay. 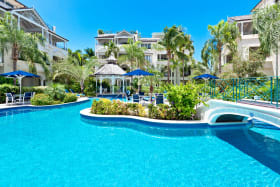 Positioned on the third level 304 offers glistening sea views of the Caribbean; across the beautiful free-form swimming pool. 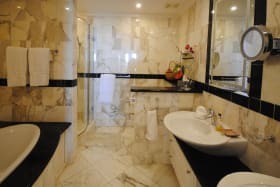 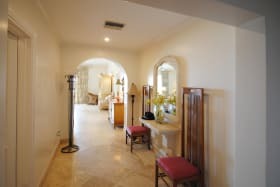 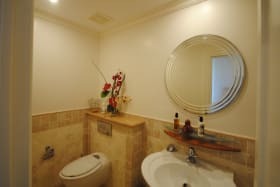 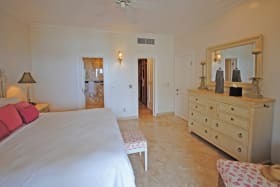 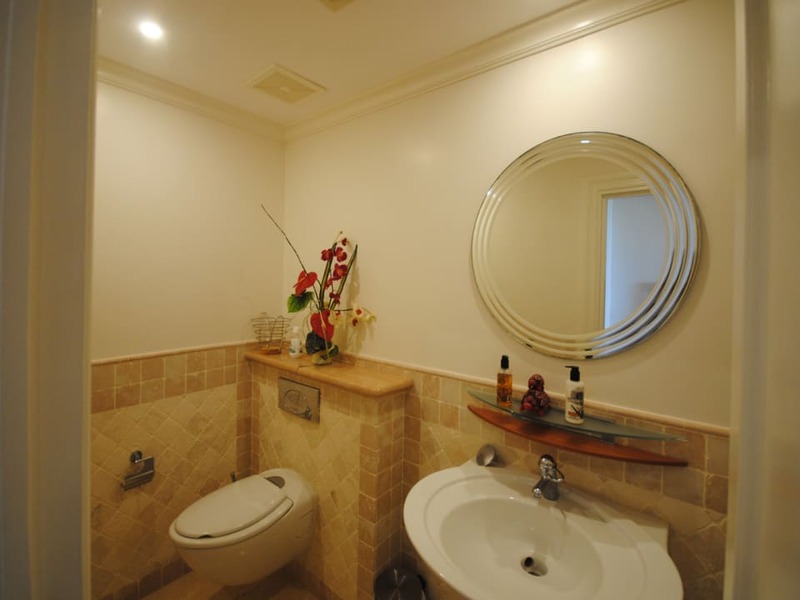 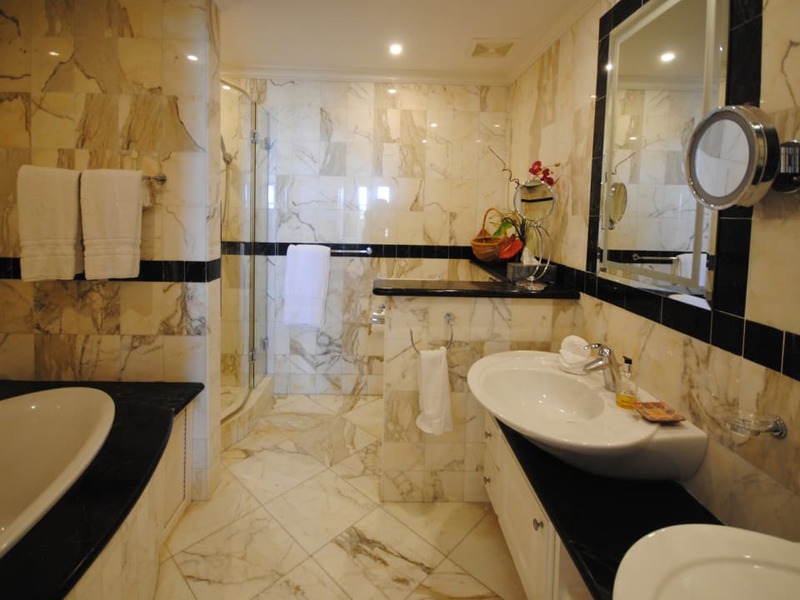 Both bedrooms are generous in size, have walk in closets and en suite marble lined bathrooms with the master opening to a balcony. 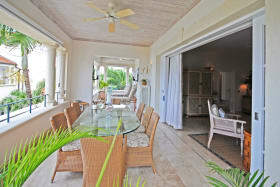 Also includes a well-equipped, open-plan kitchen with laundry and a living room which leads on to the dining terrace. 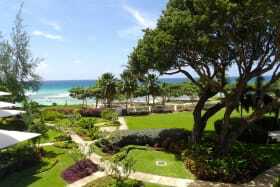 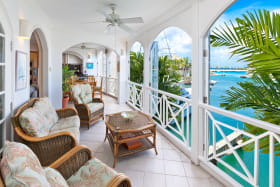 Schooner Bay is set amidst well landcaped tropical gardens just feet from the water's edge. 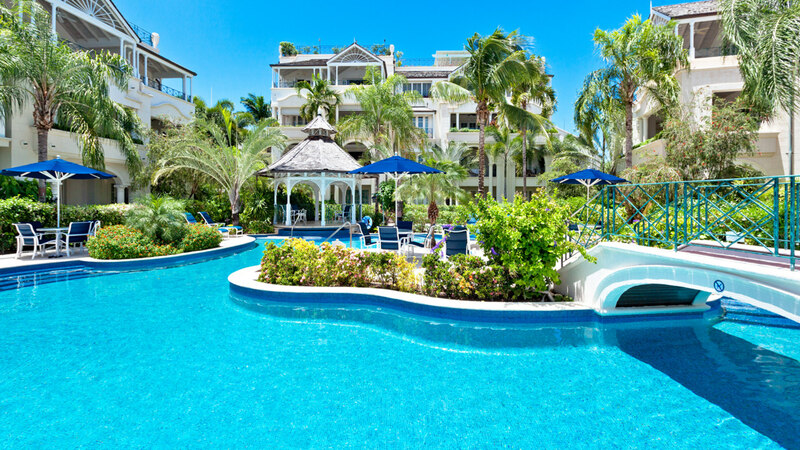 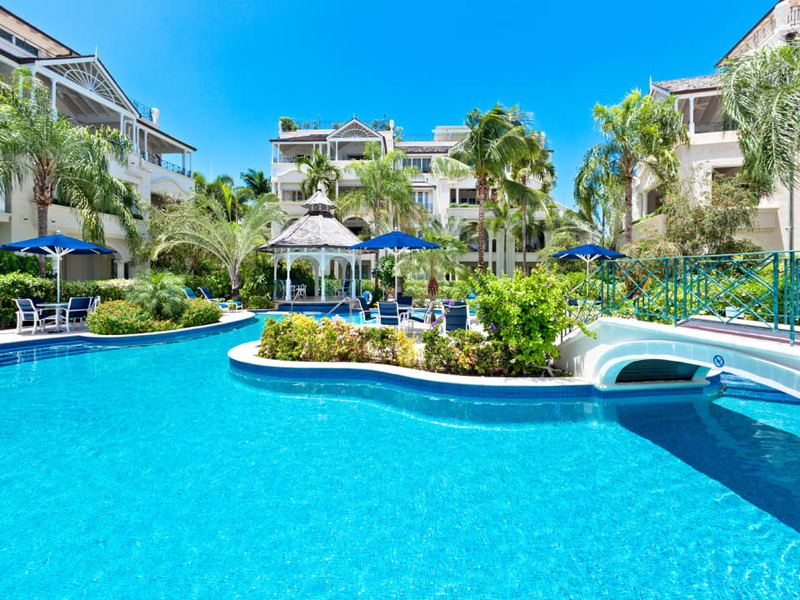 All residents of Schooner Bay have access to an on-site gym and a pool area with a lagoon-style swimming pool, Jacuzzi and a poolside gazebo. 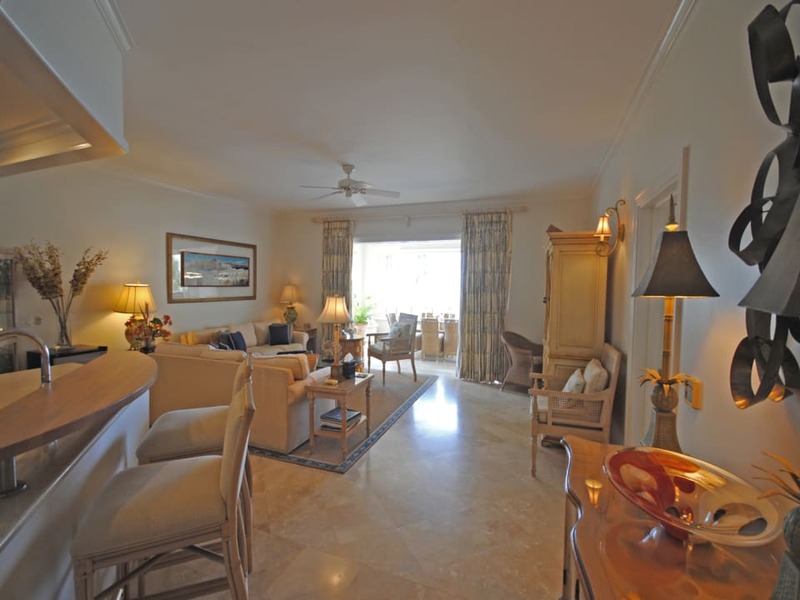 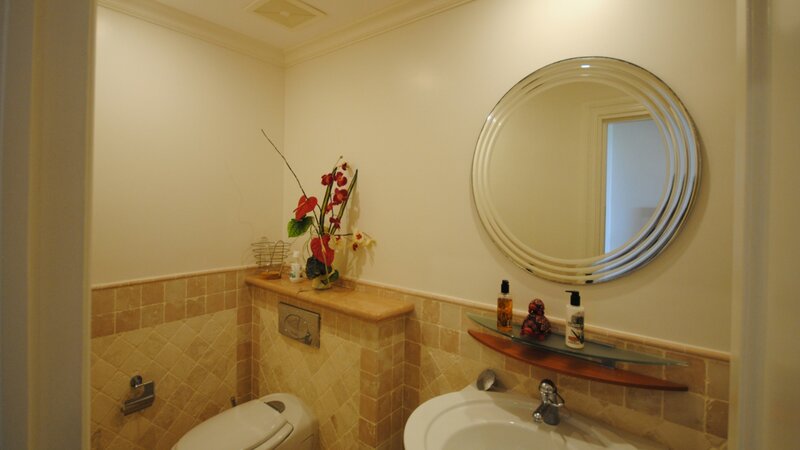 Residents benefit from 24-hour security in this very private gated community. 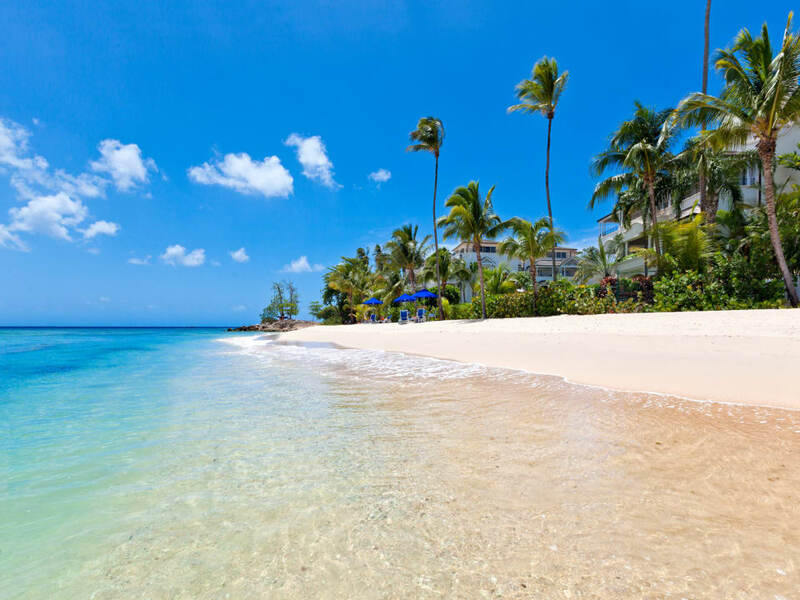 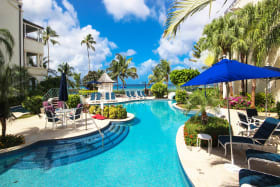 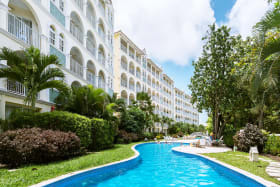 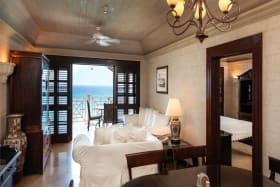 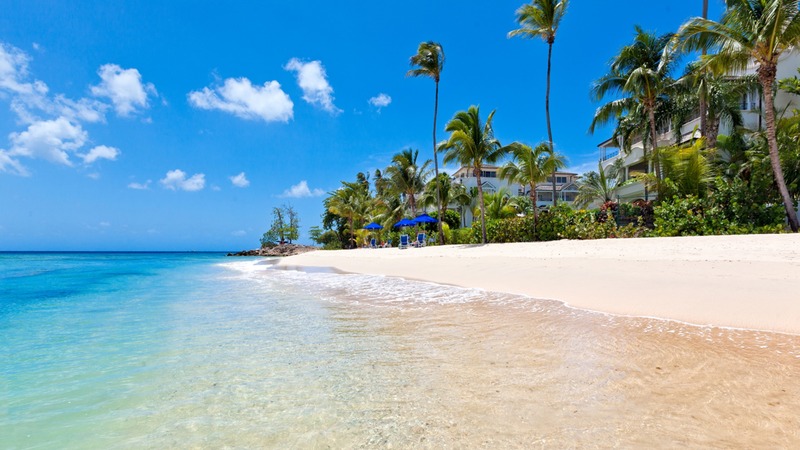 Schooner Bay is ideally situated within walking distance of historic Speightstown, where a number of shops and beachfront restaurants and bars offer authentic Barbadian hospitality.